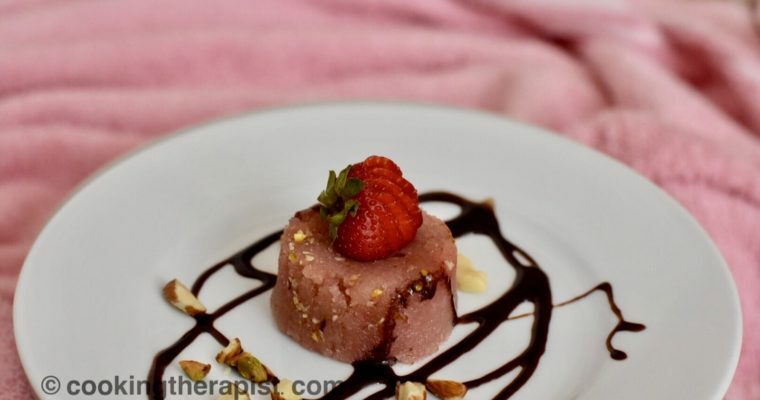 Sheera or Halwa, you might think that it is not your thing or it is not that cool looking dessert, right? 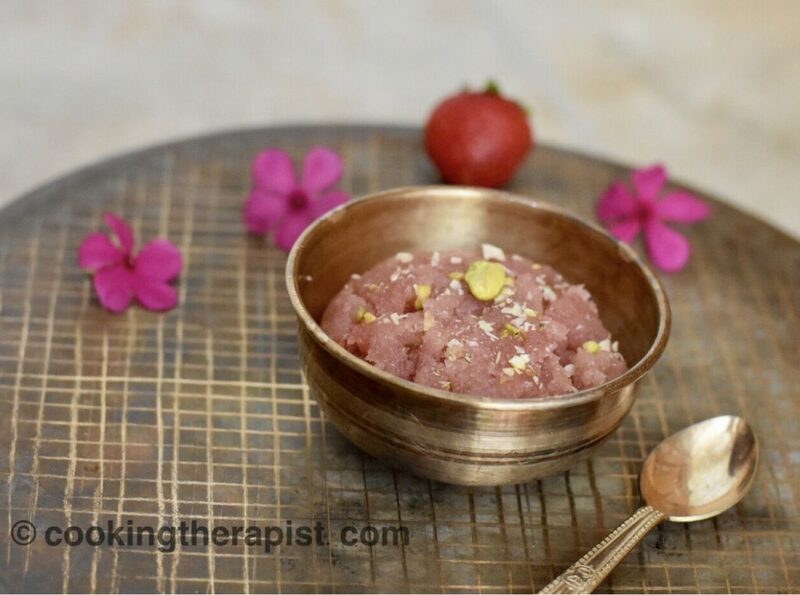 Well, Strawberry sooji sheera is an attempt to give modern make over of the traditional dessert. Traditionally people used to make sheera during spiritual occasion or festival but now a days they are considered bit old fashioned. In Maharashtra, India people usually make sheera using pineapple or mangoes. My inspiration behind this recipe was Prasadam (feast offered to god) of Iskcon temple. Another variation to try out would be using blueberry which will give it a bright purple color which you would not have seen anywhere. 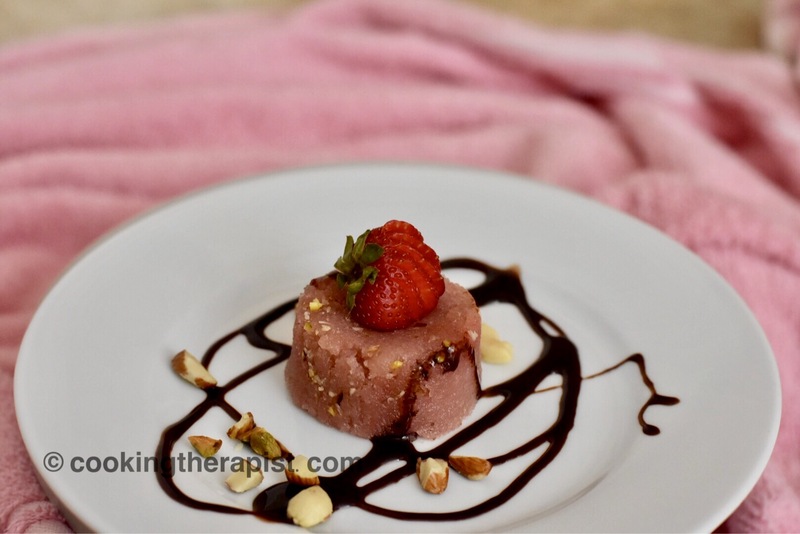 Adding berries is a great way to elevate nutrition value of this dessert. Berries have the greatest antioxidant content per serving compared to any other food except spices. Which may help us reducing blood cholesterol, good for your skin, protect against cancer and lot more see how. According to me this recipe is pretty healthy than eating dessert which is made up of all purpose flour , being fried and loaded with sugar. What do you think? let me know in the comment section below. Don’t forget to check my weight watchers sizzling brownie recipe here. Make this recipe specially for yourself or for your loved ones. 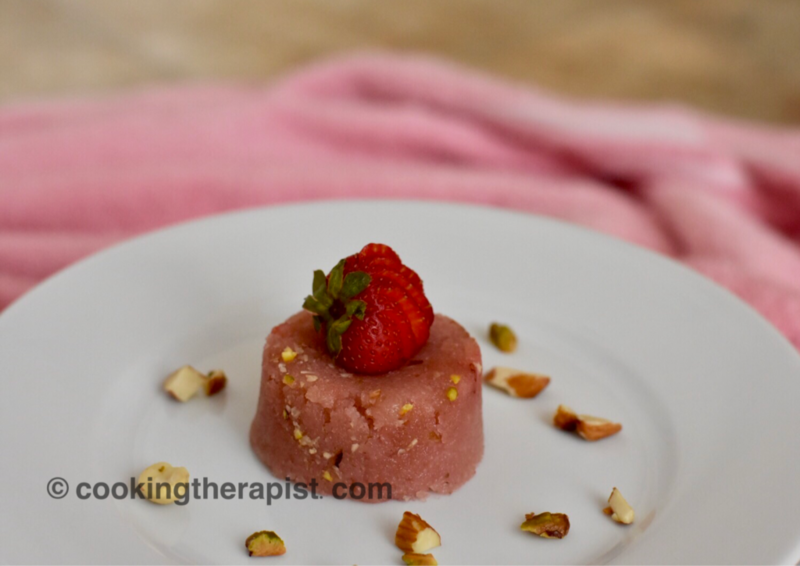 Clarified butter roasted semolina with added sugar syrup and crushed strawberry. Dry roast semolina (sooji) on medium to low heat ~5-7 mins. Add Ghee (clarified butter) in the pan then add dry roasted semolina into it and roast it again for 2-3 mins. Now add this hot syrup into ghee roasted semolina and mix it well but be cautious while adding syrup into it. Cover it with the lid and keep it there on the low flame for ~5-7 mins. After that switch of the flame and let it sit for 2-3 mins more. Finally, add some nuts of your choice, give desired shape to it with the use of mold and serve it warm. You can dry roast semolina in advance for making this recipe more quick. You can add roasted coarsely grinded oats with sooji to increase nutrition value. 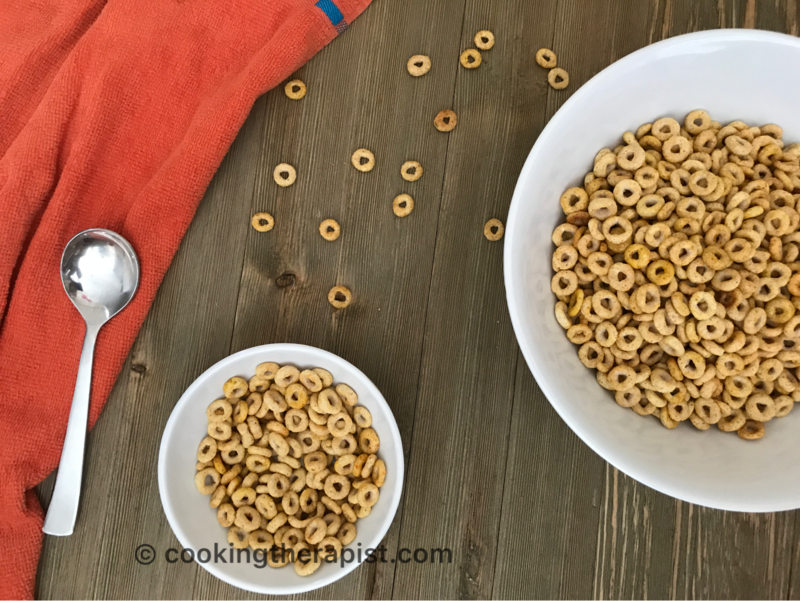 You have to just dissolve sugar into boiling water no thread consistency of sugar syrup required in this recipe. Take mold of modak give it a shape of modak and stuff roasted nuts in between.